Come and journey through the legendary Emerald Isle and the Highlands of bonnie Scotland discovering historic lands, dramatic landscapes, charming culture, fine food and drink and, of course, romantic castles. 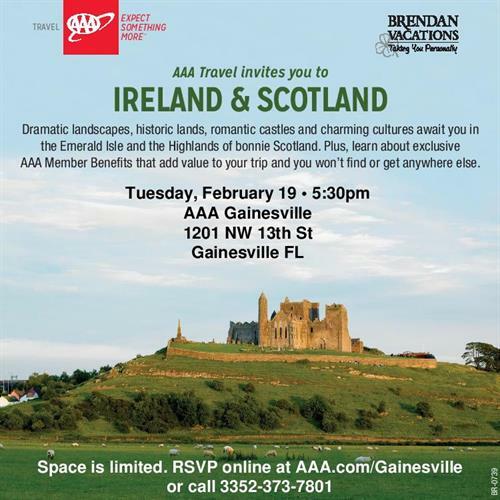 From kissing the Blarney Stone to searching Loch Ness, AAA Travel offers vacation packages featuring special experiences paired with exclusive benefits and personalized service certain to make lasting memories. Join us for an exciting presentation from Brendan Vacations.